I learned about Johannes Moser just today. I saw a video of him promoting You Tube Symphony Orchestra. I thought he was one of Google's people who could play a cello, or one of those who auditioned for YouTube Symphony Orchestra . 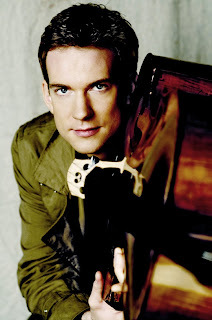 When I Googled his name, I saw his official web site [johannes-moser.com] and learned that he's a popular musician. On his site, I listened a piece of his performances, The Swan in particular, was the one I loved most. Instantly, I'm a fan. He's an amazing musician. Playing the cello since he was 8, no wonder why he could play a piece flawlessly. His music is perfect note for note. I hope he'd visit and perform in the Philippines some day. Meantime, I should start looking for one of his CDs. His photo on the left is from his official web site Johannes-Moser .com.